How Did A Crash With A Prius Utterly Destroy This Mercedes G500 4x4? This poor three-ton Mercedes off-roader suffered the wrath of an angry hybrid Toyota. 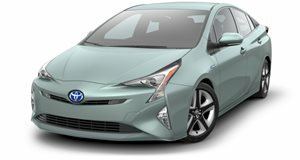 There’s a special kind of hatred reserved for the Toyota Prius within the gearhead community, and for a good reason. Its aerodynamic design prides function over form, the snore of a drivetrain cares not for 0-60 times and top speed but miles per gallon. In short, it’s the antithesis of everything we love in a car. What would we prefer? Let’s just say it has amounts of horsepower that should be illegal and brash design to cue the cops in on the sort of fun going on under the hood. 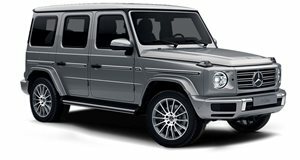 Something like, say, the Mercedes-Benz G500 4x4 Squared. Inside it gets the full luxury treatment while the exterior remains rugged as a design pen will allow, using portal axles, beefy suspension, and tires seemingly made by gluing fist-sized chunks of rubber together for ultimate traction. Weighing in at 6,556 pounds, the Mercedes is a monster compared to the Prius, so what happens when the gargantuan SUV and the aerodynamic hybrid collide? Well, apparently the Prius KOs the Mercedes, which is what happened when the above mentioned scenario took place in London, UK. It all took place when the SUV ran a red light and was struck by the Prius. The Mercedes’ high center of gravity worked against it, causing the SUV to topple over and cause damage to a nearby bus stop. Luckily, both drivers walked away from the accident, but there’s no denying that it’s embarrassing to know that the poster child of all things we hate in a car can so easily take out one of the world’s most rugged off-roaders. This video adds to the Mercedes' humiliation because it shows how the Prius took its hit better than the fancy Brabus G-Wagon. It'll need a new front end after the hit, but the Mercedes' A-pillars, bent from the weight of the SUV, could make this Brabus a write-off. Photo by rchanphotography.